Once inseparably associated with country, the face of the genre’s new generation, Taylor Swift keeps distancing herself from this music further and further, which annoys listeners and angers critics. All this is happening together with her amazing ongoing professional growth. Taylor took time working diligently on her vocal technique, while her lyrics are getting better and better. Yet the singer’s old supporters do not count on miracles anymore. When the release of her new album Red was announced few doubted that Swift would continue expanding the borders of her style and filling it with elements that aim to draw a biggest possible audience. Considering that Red was produced by specialist who have worked with Pink and Britney Spears, there should be no surprise about what will sound right from the start of this album. The new offer, like Taylor’s any other effort, is an easy and pleasant listen, but if you belong among those who believed in the country star of Taylor Swift, you are doomed to feel some light sadness about the final result. Unexpected is not the fact that dubstep thunders on a country performer’s album and not the fact that every second track here can be welcomed at a dance floor, but a hard sensation that these songs do not conflict with the other half of the set which is executed in a more traditional way. And when the record reaches its end it gets clear that the music here is not a tool of self expression, but rather an ideal environment for an open talk. Whether it is hit number one We Are Never Ever Getting Back Together or I Knew You Were A Trouble with that very dubstep or the title track Red with the long anticipated rays of country breaking through thick clouds of electronic arrangements, Taylor’s words are the main revelation, or, honestly, a whole lot of them. We knew it before that she knows how to say what needs to be said, but here this ability turns into a talent. And at times excellent lyrics save a song where everything else is not bad, but just mediocre. This happens in 22, a new hymn of all the abandoned, dumped and betrayed. Taylor calls all her close and distant friends to stop grieving and just spend a while in the age of 22. 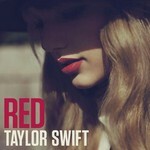 Old school is represented on red by ballads Stay Stay, Sad Beautiful Tragic, and The Lucky One. The most interesting thing is that, being so different from the pop-music tracks in terms of music, mood and lyrics, they are just as impressive. They just impress a different part of the audience. So, what makes Red an album unlike many of those works where famous performers, who tend to be forgiven for anything, pile up genres and offer this mix under a sweet gravy of arrangements? Probably, the difference is that the album does not smell like a desperate drive to please each and every one, or the desire, permitted to a fresher, but not Taylor Swift, to try everything and find a music to stop at. Swift already has. That is pop music, and details and definitions play a minor part here. Because all this music festival launched on Red is just an expression and demonstration of Taylor Swift’s creative character. As young, emotion-driven and very talented person, Swift could not have made a monotonous record strictly restrained within stylistic boundaries. It seems music emerged spontaneously in her head, while the poems were the fruits of hard work and burning desire to share with fellows, colleagues and all those who care. Good job for a twenty-two year old!